August Brunch & Secret Sock Exchange! 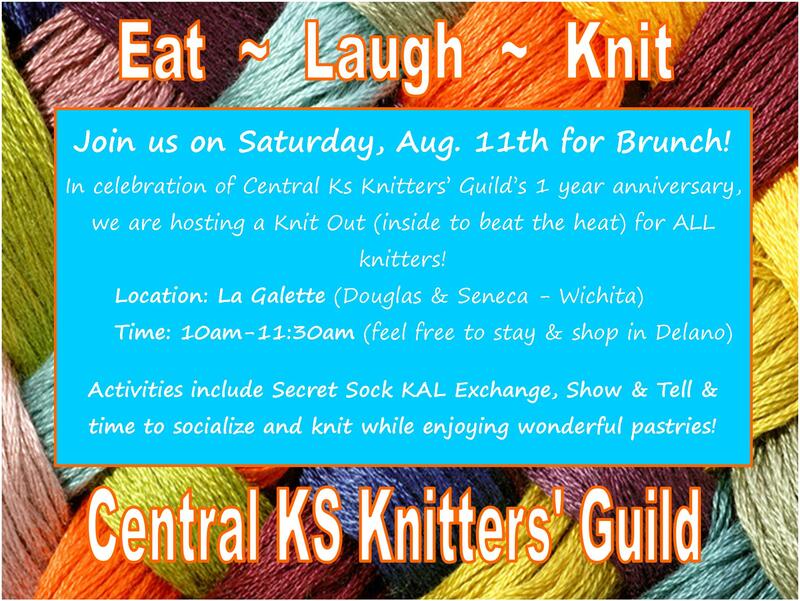 In place of our regularly-scheduled guild meeting, we will be gathering for bruch at La Galette (click here for directions) to enjoy fresh pastries, knitting and most importantly to exchange our socks for the Secret Sock Knit-A-Long! All knitters are welcome, so grab your knitting and a friend and come join us for a bit of fun and relaxation! Mark your calendar for Saturday, Aug. 11th from 10 to 11:30am. This is a great time to find out more about the guild! And did I mention that there will be special gifts for everyone? Yes, gifts! There will be NO Guild meeting on Tuesday, Aug 14th! *Look for your invitation via email! Ravellenic Games! Are your needles ready? Do you have your WIP tagged for the event? If not, the Ravellenic Games kick-off this Friday, July 27th at 3pm! Check out our Ravelry page for all of the details. Basically, pick one of your old, lingering projects from your Ravelry page, tag it with TeamCKKG and join us as we wrestle our works-in-progress during the Olympic Games. Gold, Silver and Bronze will be awarded for members who participate (and we will have awards for participation as well)! Let us know if you want to participate, but are confused…I was!!! Previous Previous post: July Guild Meeting!